I had time last night to work on getting some of the rows made on the basket weave quilt. I decided to make the rows and sew them together as I get them made instead of making all the rows and then sewing them together. 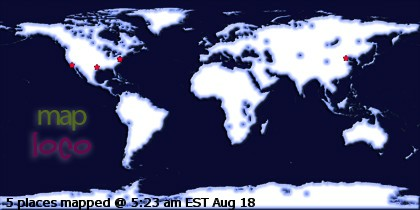 Here’s what I have so far. I have almost half of the rows completed. Depending on what size I make the borders, it will end up being approximately 100″ square. 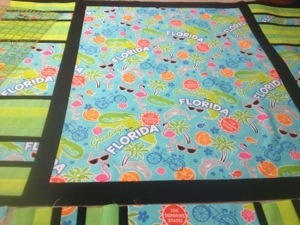 I’m also playing around with a piece if Florida fabric. Not to sure about this…….not exactly coming out like I planned, but we’ll see. Hopefully tonight I can work more on my rows, for now I have to get back to customer quilts. Have a good day! I love things scrappy and stringy and I LOVE your basket weave; setting it on point makes it just sophisticated. Thank you Kat! I am loving the way it’s turning out. 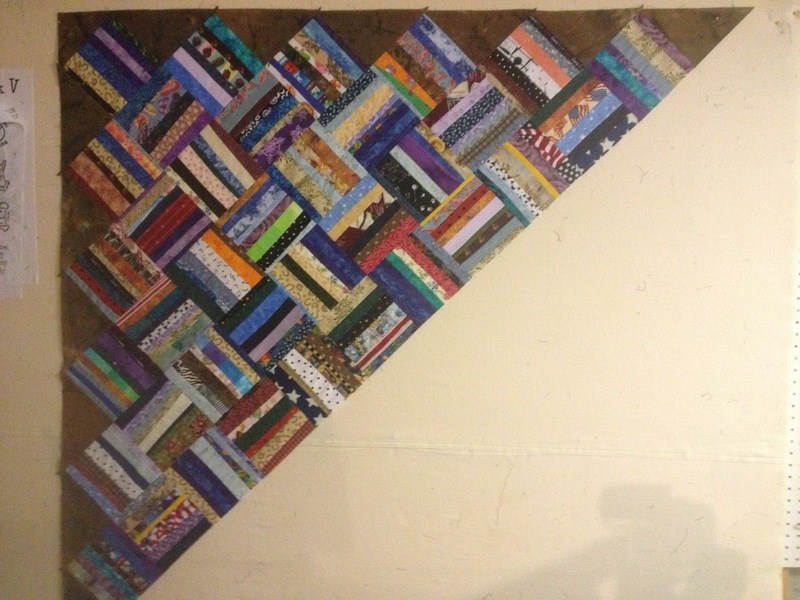 I saw this quilt made on Bonnie Hunters site. I don’t know what size blocks she made, I made mine 6 12″ and figured up what I needed to make it fit my bed. 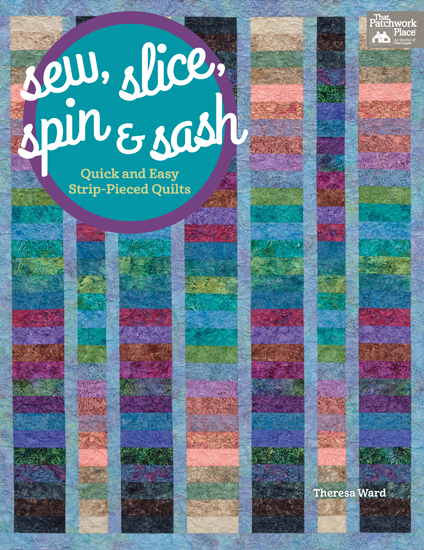 It’s a great quilt to use up strips. Good idea!…assembling the blocks as you finish them. For me , that’s the dreaded part of making a quilt…sewing the rows together. That is going to be a great looking quilt! The dark setting triangles are perfect for framing those scrappy string blocks.